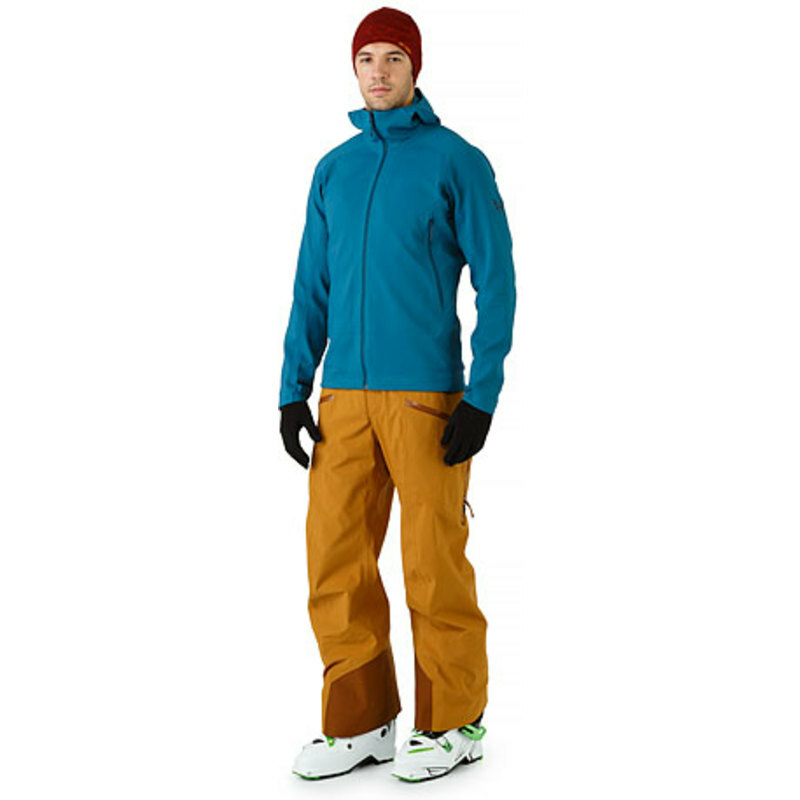 Warm, weather resistant midweight fleece hoody that performs as a standalone on ascents, and as a midlayer on the descent. 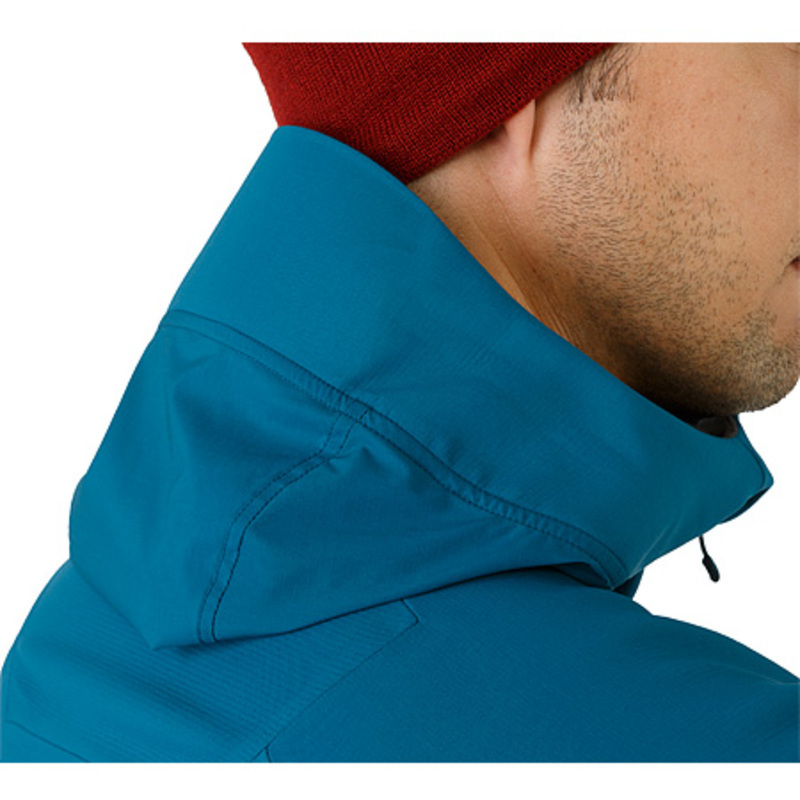 Fine tuned for the backcountry, the versatile Ephus Hoody is made with a medium weight fleece bonded to a polyester ripstop woven facel, to combine air permeability, breathability and moisture transport with light insulation, wind resistance and snow shedding protection. The minimalist design means everything has a purpose. 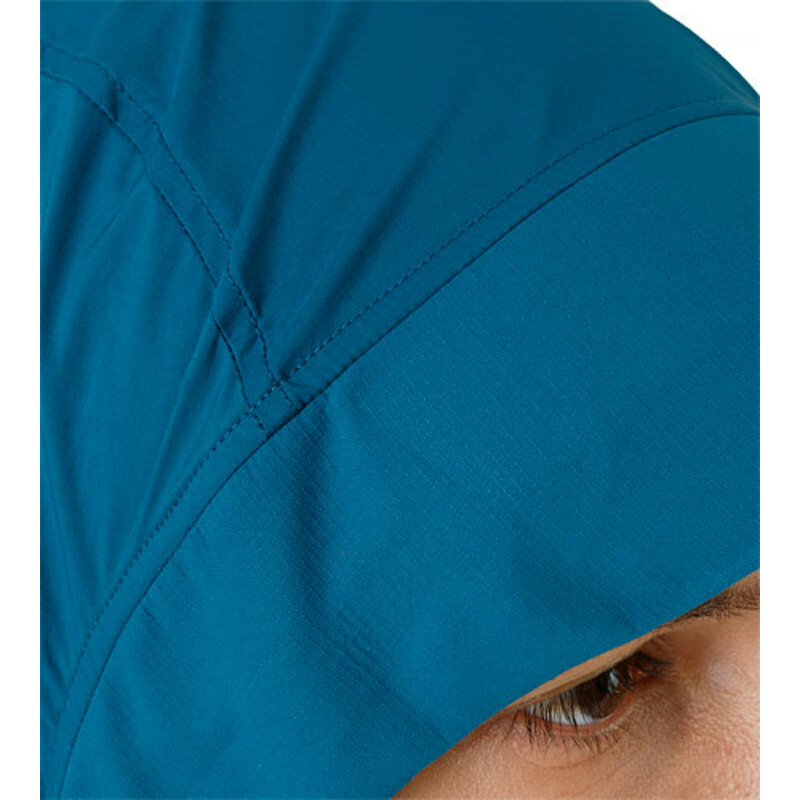 The low profile fleece hood provides insulation, fits comfortably under a helmet and has an outer layer of lightweight, stretch nylon Gossamera™ for added wind and weather protection. 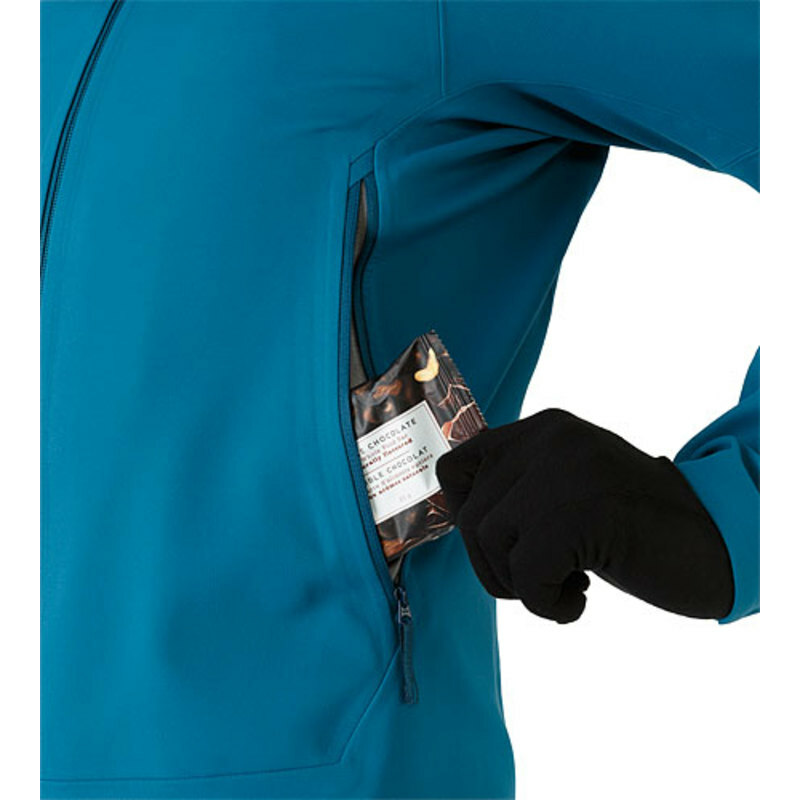 Pockets are pack accessible, and hem drawcords seal out drafts. 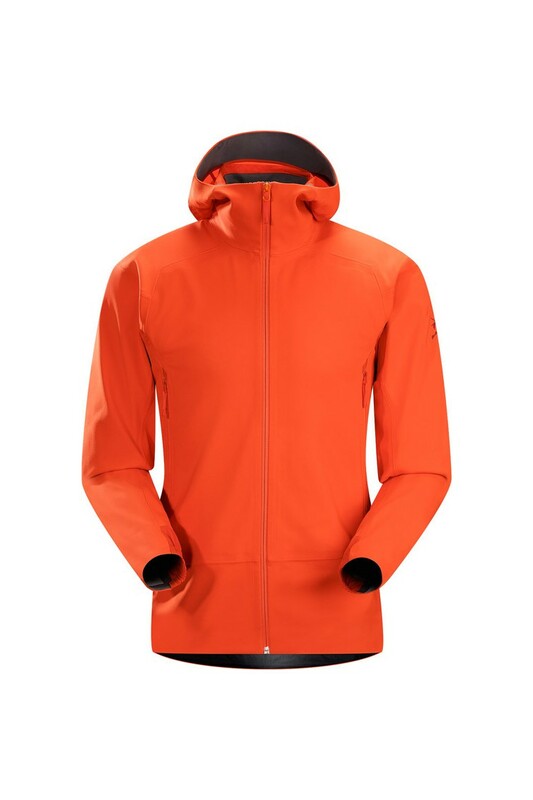 Arc’teryx designs are focused on addressing the realities of shifting backcountry environments and output levels. 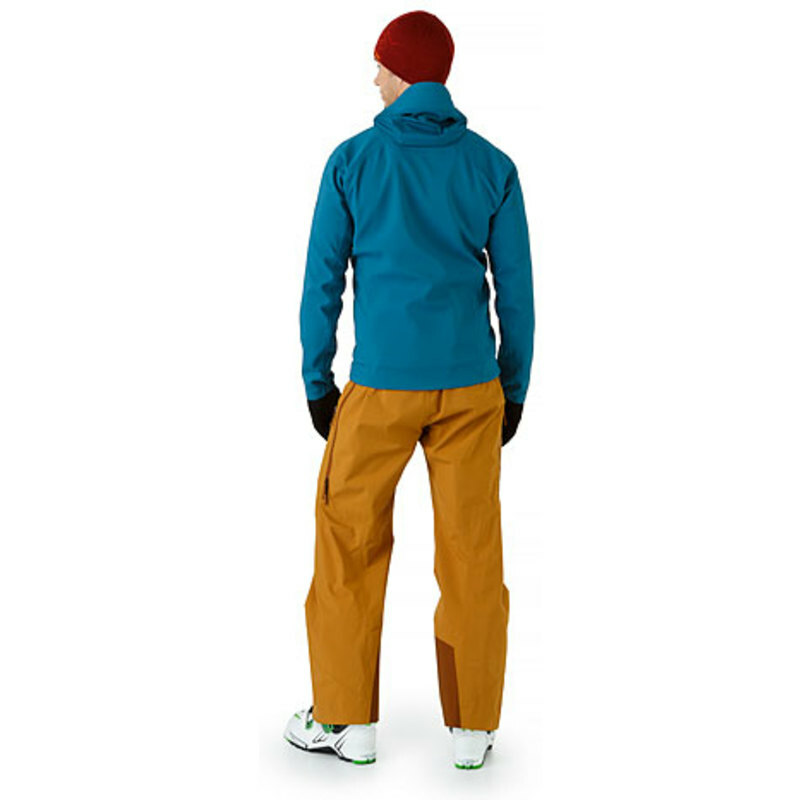 Winter ascents require freedom and breathability, descents demand warmth and protection, so clothing needs to be able to stand on its own for the climb up, and also serve as layers on the downhill. 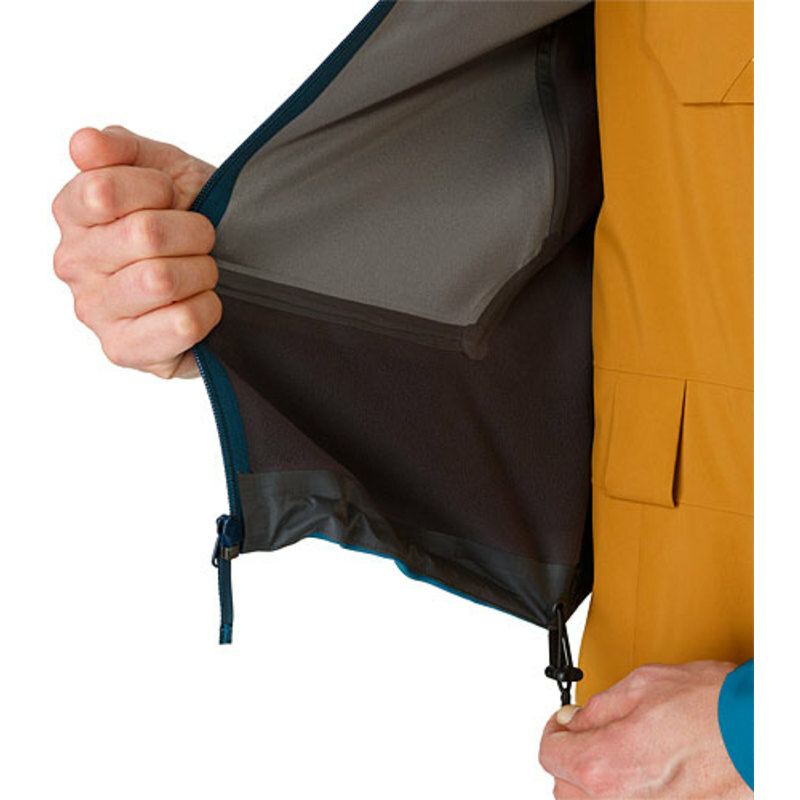 While the Ephus is a highly functional standalone piece, it is designed with subtle elements that make it an effective, comfortable midlayer. 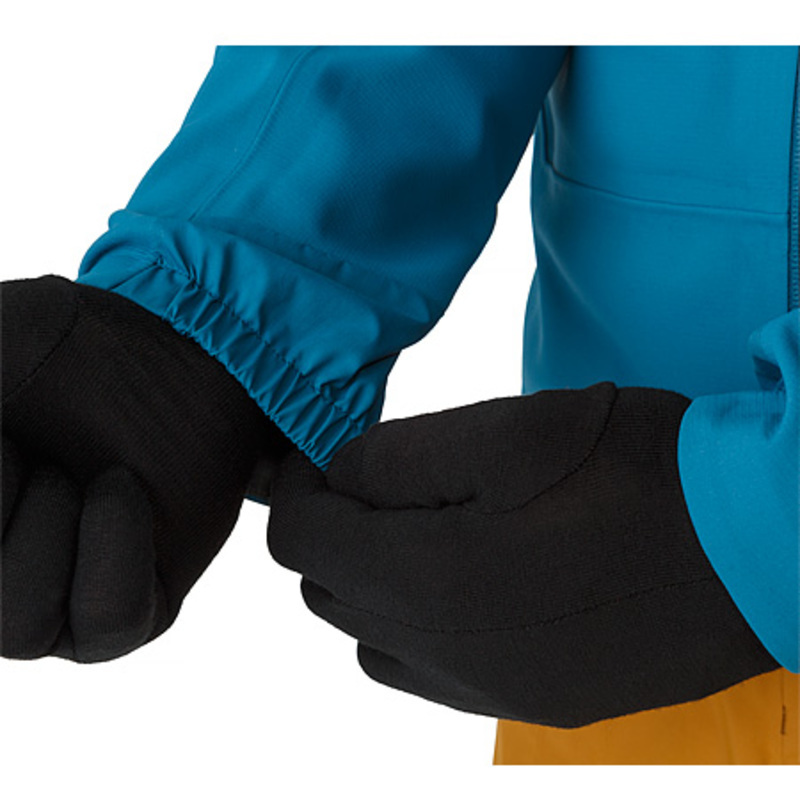 The cuffs have a stretch gusset that fits easily over gloves, but with minimal bulk to fit comfortably under a hardshell. 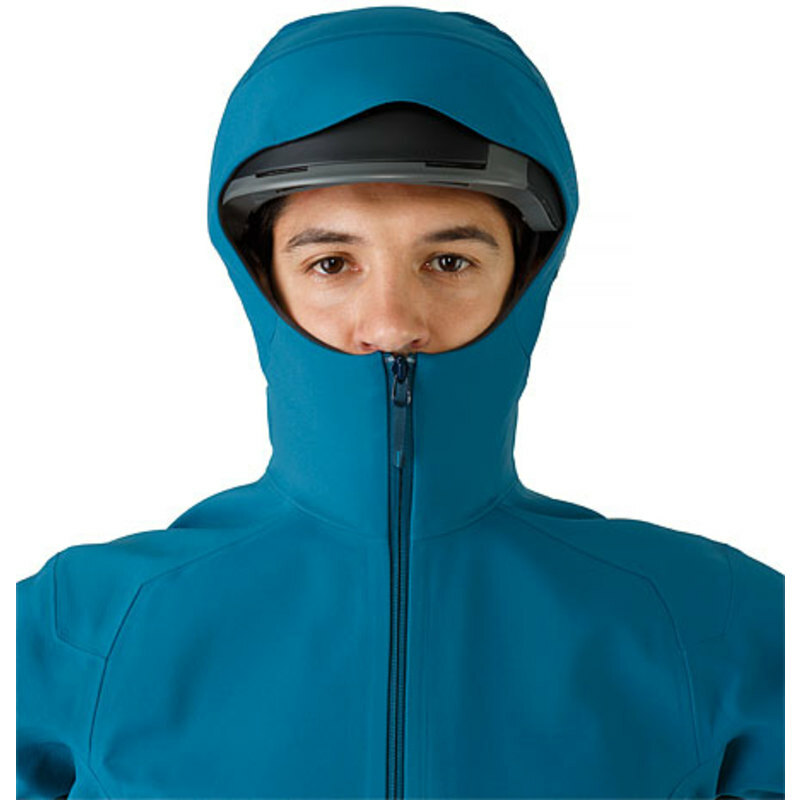 The fleece StormHood™ fits over a helmet, and, when in midlayer mode, lays flat under the hardshell’s collar. 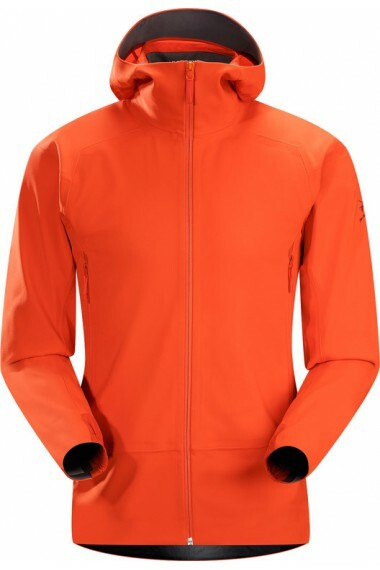 The streamlined, thermally efficient, motion friendly Athletic fit easily layers under Arc’teryx Expedition fit jackets like the Rush and Lithic Comp or the freeskiing oriented Crossbow and Sabre. 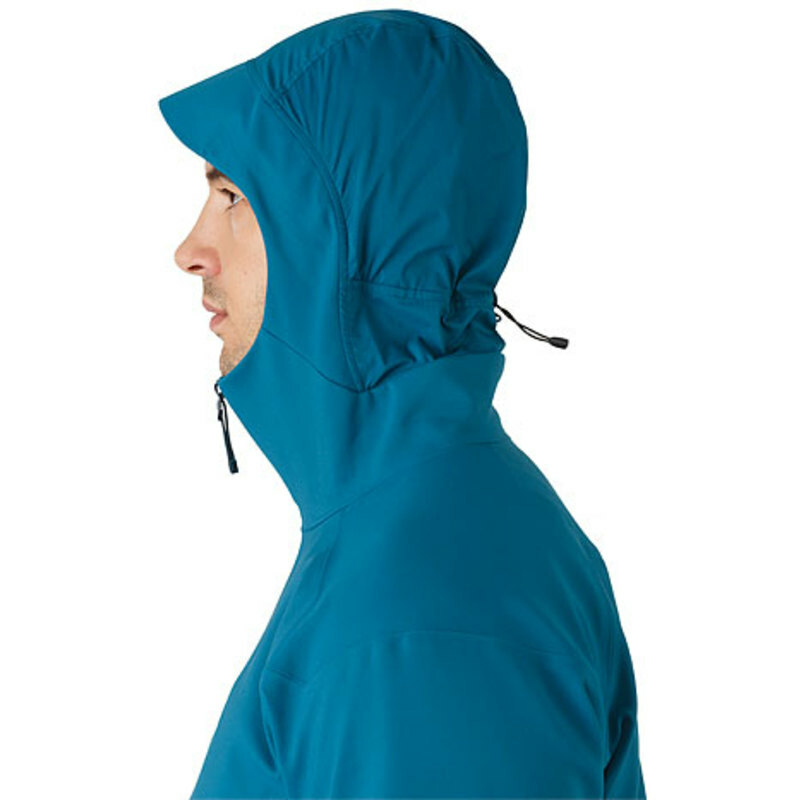 The ability to layer pieces without sacrificing freedom of movement is a backcountry essential, one that drives the Arc’teryx designers to create highly functional backcountry clothing systems with use specific ergonomic focus. From next to skin to hardshell, each layer’s articulation and gusseting aligns, and each feature serves a specific purpose. The result is a sum that is greater than its already impressive parts.